Location and amenities make this condo a great place to live. 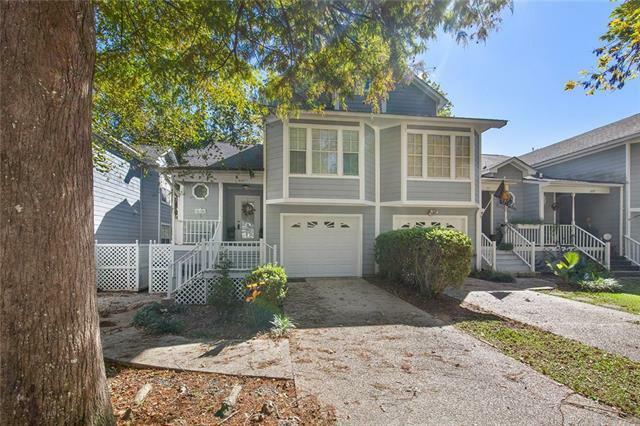 Well maintained condo w/garage. Includes assigned boat slip that accommodates boat up to 35' w/easy access to Lake Ponchartrain. Renovated kitchen and master bath w/granite counter tops, freshly painted. 3 stories with each level balcony overlooking pool, fountain and courtyard. Boat slip is just steps away. 15.6x12' Deck.Come home to a peaceful place to relax after a day at work. Coveniently located near lake and Tammany Trace in Old Mandeville.